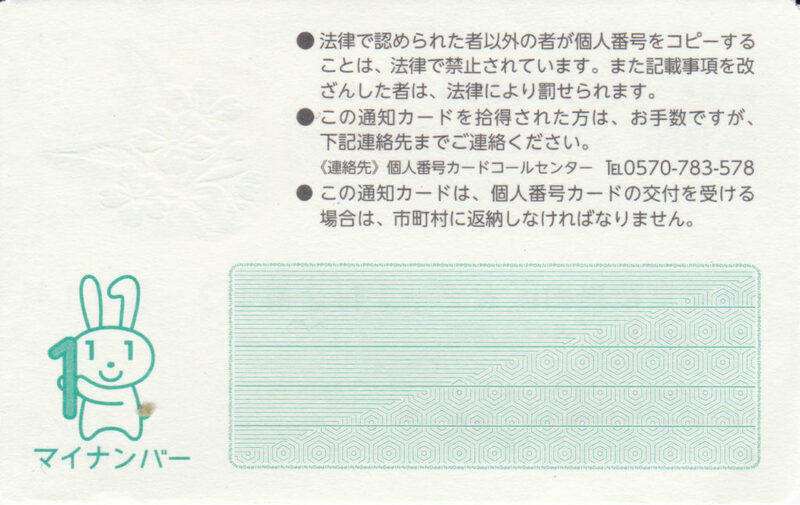 In 2016, all residents in Japan are supposed to have a My Number card. 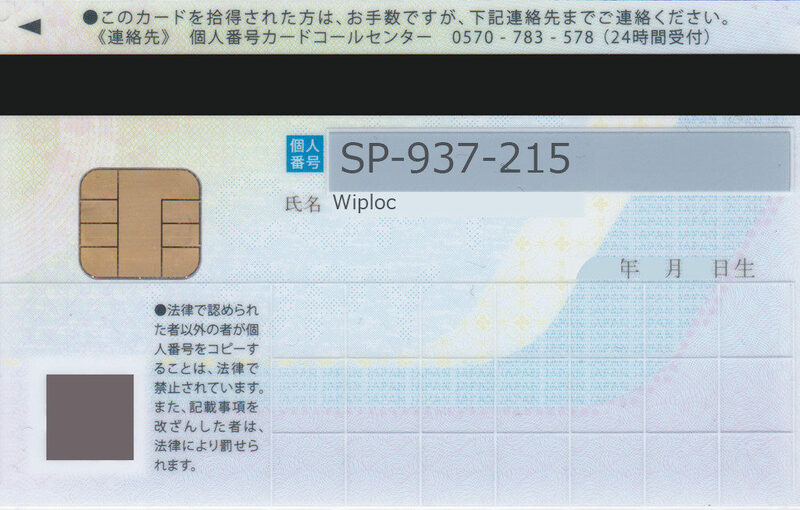 The official name is the Individual Number Card and it is essentially Japan’s own social insurance tracking system. In Canada, we call it the Social Insurance Number (SIN) and in America it is the Social Security Number (SSN). It functions in almost exactly the same way and is used for everything from taxes to, as the name implies, social security. The implementation of the card has been problematic and with problems with the national pension system losing confidential information, a lot of people were worried about the system. I can understand that and I am also worried but we have no choice in the matter and must trust the relevant authorities. The My Number card comes in 2 forms, the notification card and the actual card. 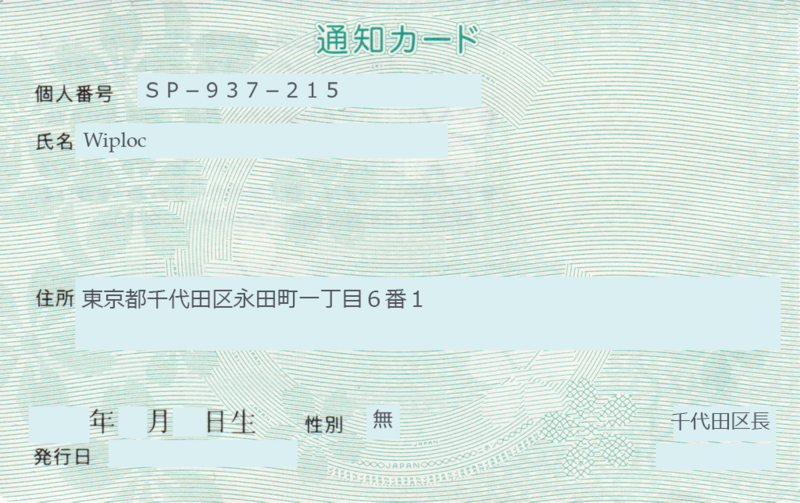 The notification card is sufficient for almost all things and can be used, inefficiently, to notify others about their personal individual number. It is a simple flimsy paper card that has your name, address, and My Number on it. There are a few security features in it but they don’t really matter that much. In order to use this, you also need a second piece of photo ID to confirm your identity. I went the second route and sent my information into the main body that handles the My Number cards. It actually took longer than the people who used digital means. I also had to pick the card up at my local city office. 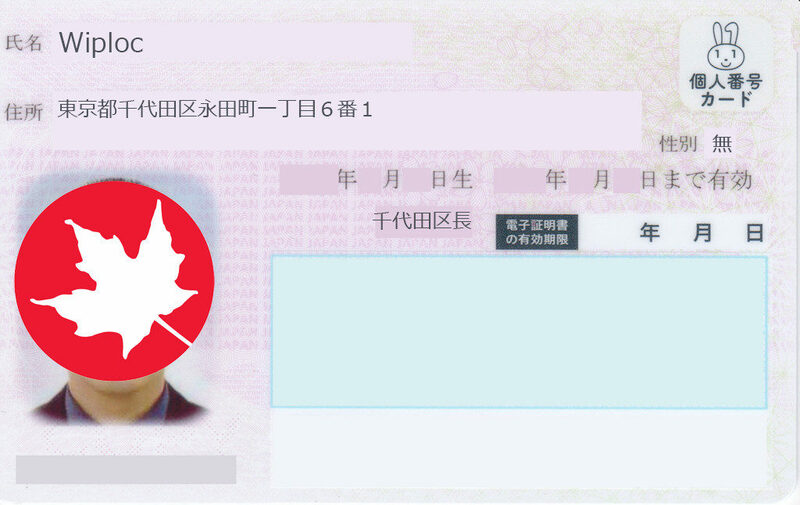 That ordeal was a little difficult at first as I had changed my residency status from a work visa to permanent resident. If you do go to the city office, you basically hand over your notification My Number card as well as show some form of ID. I used my Residency Card as ID and it was sufficient. While I forgot my notification card, they said I could bring it back any time I wanted, so technically I could keep it. Once you hand over the documents, they check everything is okay and then hand you a form to enter your password. In reality, you don’t have to write anything on it. You have to choose 3 four digit passwords, which can all be the same, as well as a 6-16 character password. These are used for different situations to verify you are who you say you are. 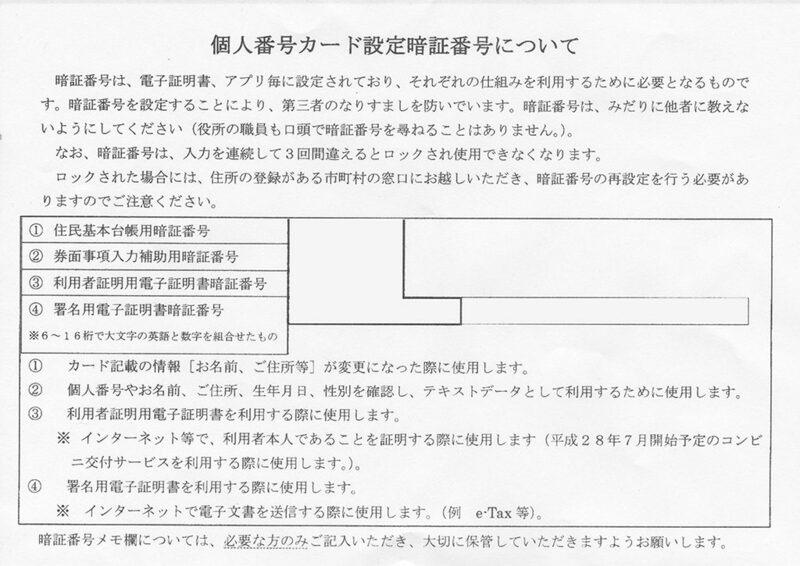 I was surprised that they even asked us to write it down as they don’t keep the document nor do they want to look at it. It is all for your own personal records. Once they find your card, they hook it up to their PC and you enter your passwords into the system and it is saved. Finally, they tell you the expiry date and you can leave. Generally you have 10 years with the card but for foreigners you only have until your visa expires. When your visa expires, you have to return to get the information updated. Unfortunately for me I changed my visa between the period they issued it and when I obtained my Permanent Residency. This added an extra 30 minutes as they worked the system to figure out how to extend the period as well as amend my card to inform people that it expires in 10 years rather than this year. The pros of having the actual My Number card are that you can now get your documents quickly. 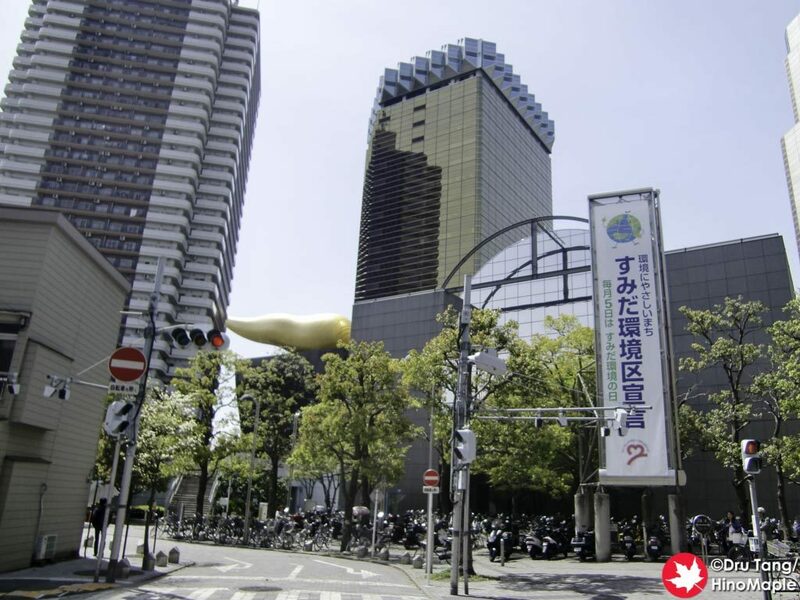 It is always a pain to go to the city office to get official city documents that prove things such as your residency. Now you can just print them off at the convenience stores, with your special password, and pay the fees of course; it is pretty simple. Whether or not you want to get a My Number card for yourself is really up to you. I decided to get one because I wanted my card to be safer and I wanted to get documents, if needed, from the convenience store. There is a lot of great information on the official website which I highly recommend reading if you are unsure of what it is and what it is to be used for. This entry was posted in Daily Life in Japan, Japan and tagged Individual Number, japan, My Number by Dru. Bookmark the permalink.